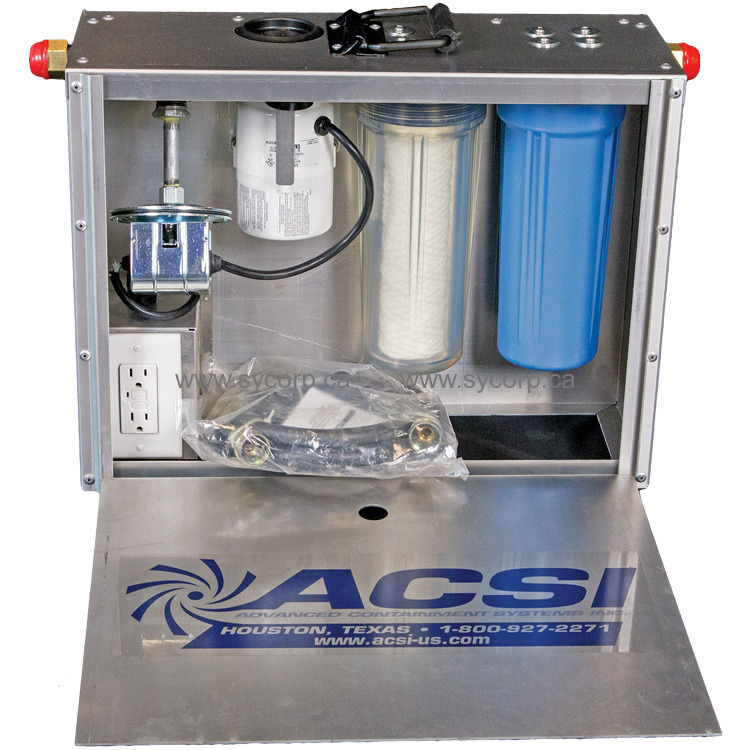 Long an established name in the abatement and remediation industry, ACSI offers high quality water filtration units for commercial and industrial use. 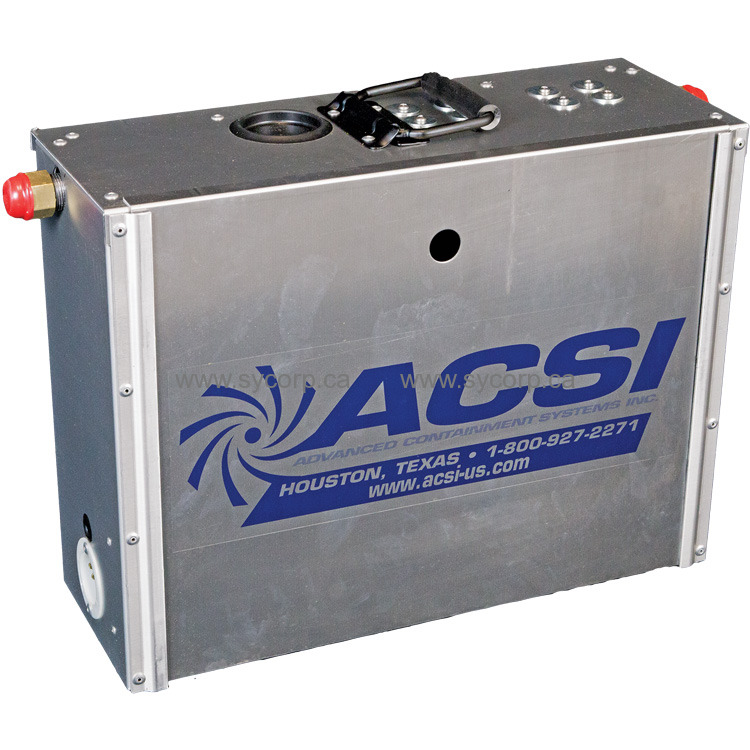 The ACSI HF2 Hydro Filter comes enclosed in a heavy-duty aluminum cabinet 0.080 thick that is rugged rustproof and lightweight. All electrical components are internally enclosed in their own enclosure preventing dirt and water from getting in. The galvanized plumbing provides long useful life and prolonged durability. The unit comes with a GFCI offering protection from electrical shock. The low current draw motor is protected from burnout by a vacuum switch. The HF2 uses pleated filters to prolong filter useful life. 20" x 7.75" x 15"